For the first-time home buyer, building a home can be a daunting prospect. It is indeed a complex project, that you need to start off with confidence! Equip yourself with this insiders' guide to building your first home so you know what to expect on the road ahead as you build your dream home. Understanding all the benefits of building your own home inspires the first big decision to build. The next critical decision is who to trust with the job. 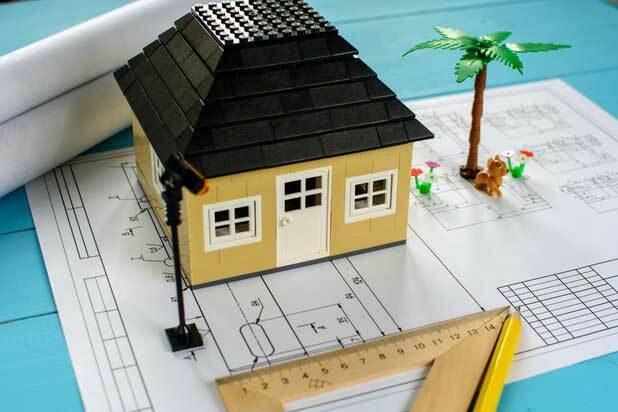 A checklist of what to look for in a home building professional can help you choose a reliable building partner with experience who is highly qualified in the industry. Credentials: Research any builders' associations they may be members of, such as the Housing Industry Association (HIA). Record: Perform a search through local consumer protection organisations to determine if a builder has been involved in any financial or credit disputes. Experience: Find out how long a builder has been in business. Capability: Examine their portfolio of past projects. Determine if any were similar to the dream home you envision. Does their portfolio reflect design flexibility that is capable of creating the custom home of your dreams? 1st Impression: During the initial stage of getting to know a builder, is there a clash of personalities or do you find a professional with excellent communication skills? Did the first impression instil confidence? Transparency: Do their promises about capabilities align with what their portfolio says they have achieved? Reviews/Recommendations: An experienced, successful home builder should have previous clients willing to provide reviews about their experience. If a builder doesn't provide references, ask around until you find someone who used the builder in the past. Ask previous clients about project completion times, working within budget, builder responsiveness, etc. Check Things Out: Go one more step beyond viewing a portfolio of completed projects and speaking with previous clients. Get a first-hand look at some of the previous builds. If a contractor seems uncomfortable with an inspection of their work, this should raise alarm. A qualified builder with a good track record, confident of the workmanship, will be happy to showcase the company's work. Look for builders who have display homes that can be toured. Can you provide references of previous customers? Do you have a display home that can be toured and inspected to see, first-hand, the quality of your work? What standard features are included in home design? How often will I have access to my home during the build? How and when can changes or upgrades be made to the design? How long until project completion? The design stage is exciting. This is when it really seems that a dream is becoming a reality. It is also a very crucial stage for ultimate success. It can be helpful to check out home designs a builder already has available rather than start from scratch. An extensive range of already proven layouts can then be customised. Or, if an individual has a plan, a professional builder can work with it. Want to get up and close personal with a custom design display home to get your creative juices flowing? Book an appointment to view a model. You will discover what quality workmanship really looks like. Upgrade your own confidence level with a deeper understanding of what to expect in a custom designed home's standard inclusions. A dream home can turn into a nightmare if it's in the wrong location. Building your own home on your own land means you are empowered to find the right area with the services and amenities your lifestyle requires. Experienced builders, like Evoke Living Homes, have resources, like the e-book Ultimate Land Buyers Guide, to help you find just the right spot. This is the stage where everything becomes more "real". Evokes' Contracts Administrator Jordon walks clients through customisation options such as colour schemes and bathroom fixtures. She prepares final drawings for client approval and presents a contract that features the projects final selections and requirements. Jordon becomes the main point of contact for an entire project which facilitates clarity, reliability and confidence. Ready to get started on your prestart? Then contact the professionals at Evoke Living Homes and start bringing your dream to life.